un set shines over the top of both Horse and Boy. Giving a mysterious look of identity. 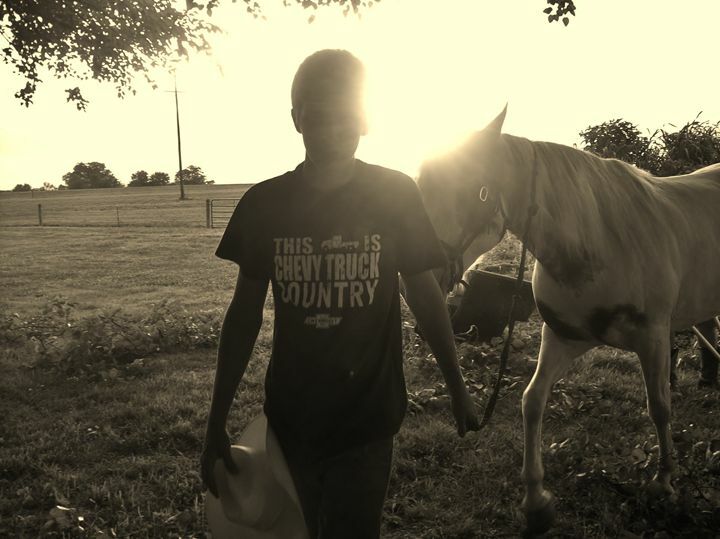 Black and white to show horse and sun. Also check out the shirt lettering. This was a perfect day.